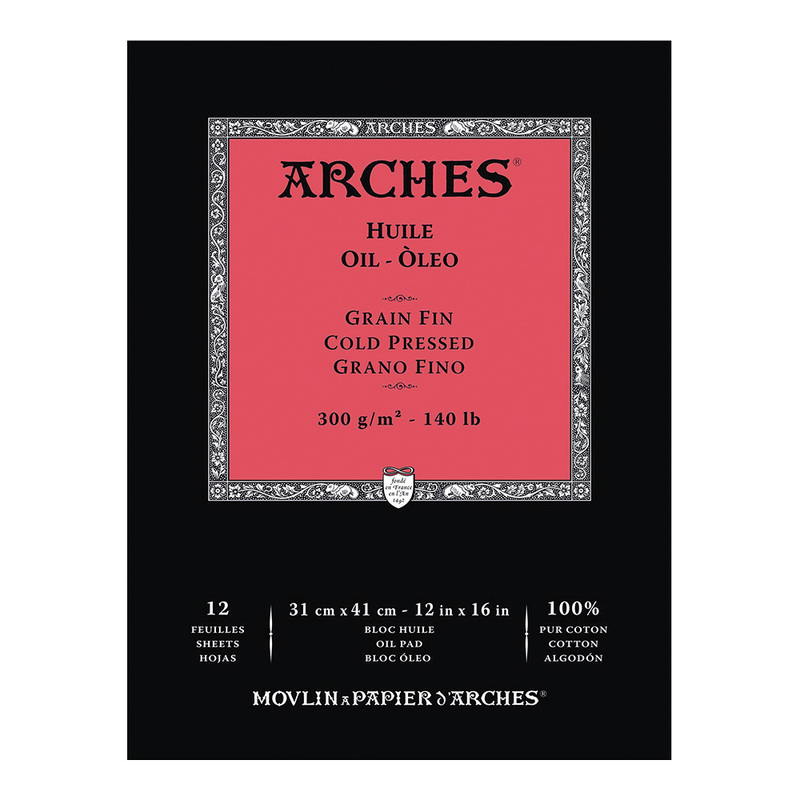 Arches Oil paper is a French made 300gsm (140 lb), specially formulated for oil painting, yet it maintains the look and feel of traditional Arches papers. The paper features a powerful & efficient oil barrier that absorbs water, solvents, and binders evenly while allowing the paint and pigment to remain on the surface. It is ready to use - No need to gesso; no preparation required! These gummed pads are available in two sizes, 9"x12" and 12"x16"
Loose sheets are also available. Smooth performance for OilBars - Arches Huile Oil Painting Paper Pads 9" x 12"
I haven't yet tried a complete picture with standard oil-paints on this paper and had purchased a pad initially to try with Oilbars, since framing under glass is often recommended for them. The paper feels and looks just like watercolour paper; but applications of light turps washes do not bleed through and the paper remains flat on its board. Oilbars run smoothly over the paper surface and blending is easy. The colours are touch-dry in a couple of days and also retain any texture-marks. I was able to add touches of tube oil-paint with a small painting-knife, with no difficulty. good product - Arches Huile Oil Painting Paper Pads 9" x 12"